क्या आप को पता है हनुमानजी के किस मंत्र-पाठ से मिलता है क्या लाभ !! nice post! 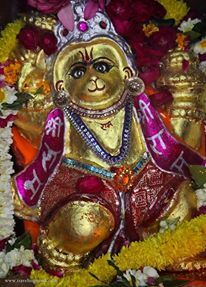 Jai Hanuman. Lord Hanuman provides us strength and courage to fight the obstacles in our way. Ca you please tell the timings to chant hanuman chalisa. Morning time and night time? nice post! Everyday in the morning I used to chant hanuman chalisa lyrics with devotion. It is said that Chanting Chalisa daily once will give peace of mind and remove obstacles in your path.